Heat the oven to 375°F. Put the walnuts on a small sheet pan and bake in the oven 6 to 8 minutes, until crisp and fragrant. 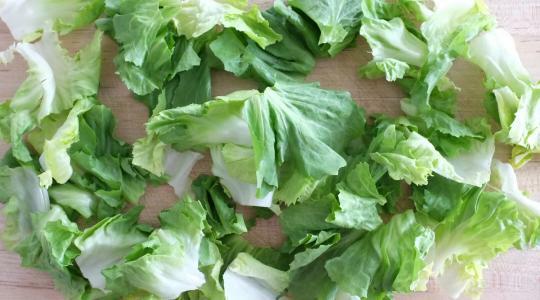 Tear the escarole into large bite-size pieces (you should get about 8 cups); rinse and spin dry in a salad spinner. 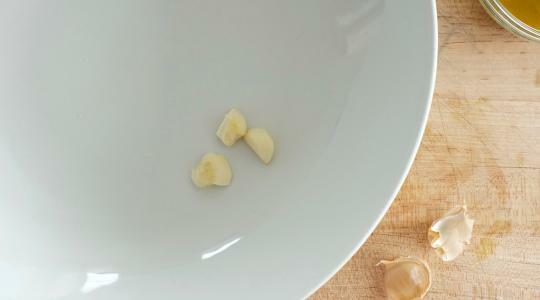 Smash the garlic and rub it over the inside of a large salad bowl; discard the garlic. Put the escarole in the bowl. 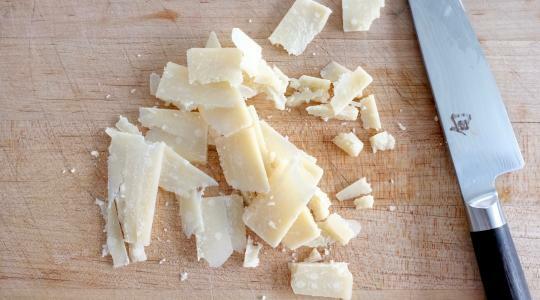 Use a knife to shave off thin pieces from the Parmesan (about ½ cup). 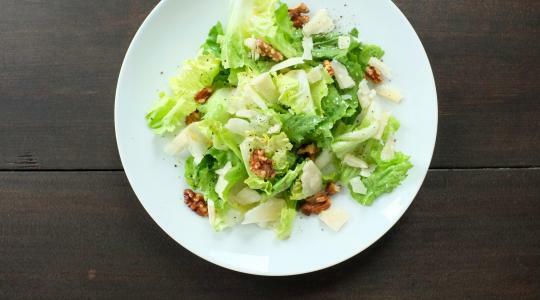 Scatter over the escarole. 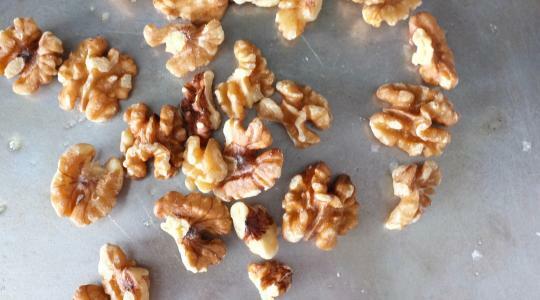 Break the walnuts into pieces and add to the salad. 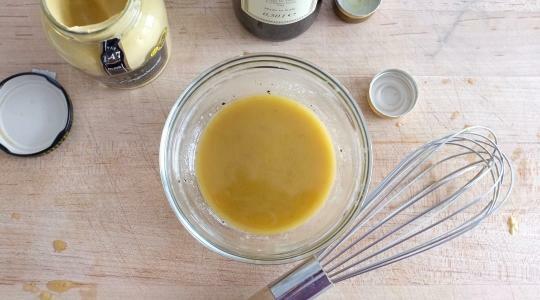 To make the vinaigrette, in a small bowl, whisk together the mustard, vinegar, lemon juice, oil, salt, and pepper. Drizzle as much vinaigrette as you want over the salad. Toss well and serve topped with more pepper.